26) Classic cocktail The Gimlet is said to originate in the British Navy, in the 19th century, as a scurvy preventative. The story is that it was named after a naval medical officer of the period, Thomas Desmond Gimlette. 27) There’s a reason for the limes rather than lemons. British naval ships were supplied with the fruit as British investors with connections in Parliament had invested in Caribbean lime plantations. 28) As well as our name, the 18th century gave us our very distinctive, square bottle. This shape can be known as both a “taper gin” bottle – because the base is narrower than the top – and also “case gin”. 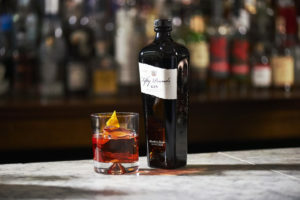 29) The Negroni is said to be named after an Italian nobleman, Count Negroni who, remarkably, turned his back on the European aristocratic life to appear in rodeos in the USA. Returning to Italy he’s said to have requested a drink like an Americano, only with more alcohol. 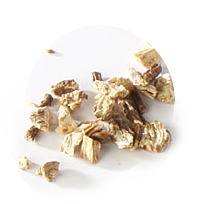 They replaced the soda water with gin and the rest is a (bitter sweet) history..
30) The Angelica Root in Fifty Pounds gin adds a certain spicy flavour but also serves as a fixative, effectively helping to “glue” together the oils from the other botanicals. 31) In the winter of 1823, London went crazy for a cocktail called the Hot Gin Twist, to the point someone wrote to a newspaper, enclosing a 149-line poem celebrating the drink… Another writer then wrote a shorter poem celebrating the drink and the first poem. 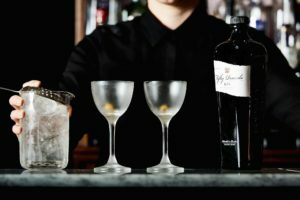 32) Fifty Pounds uses wild juniper – from Croatia, as it happens – to flavour the gin. To be fair, the wildness doesn’t make us terribly unique, nearly all distilleries in the world use wild juniper. 33) When the Gin Act was imposed, Londoners fearing the end of their drinking days, protested in a suitably theatrical manner, staging a mock funeral for “Madame Geneva”. 34) London Gin is not the only geographical location to lend its name to a gin style. Plymouth Gin has Protected Geographical Indication status. 35) The craze for home distilling that resulted in the Gin Act saw a US revival during Prohibition. The rise of bathtub gins had an occasionally devastating effect, with some drinkers blinded or poisoned, thanks to the addition of methanol. 36) Mind you, the need to mask the terrible taste of some of these gins is credited as the inspiration for many cocktails. 37) At the last count, the bar at Holborn Dining Rooms in Central London had 502 different gins. 38) It’s impressive, but it’s some way off the record: that’s attributed to Atlas in Singapore who, at the last count, had 1,011 bottles in their collection. 39) The second Saturday in June is, officially, World Gin Day. 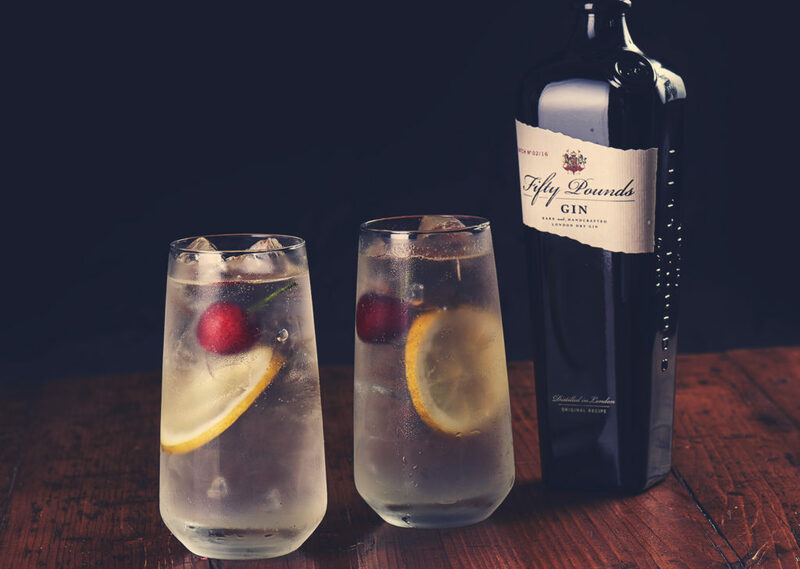 40) Fifty Pounds is a very good value gin, particularly when compared to The Cambridge Distillery’s Watenshi Gin, officially the world’s most expensive gin at £2,000 a bottle. 41) As a twist to that record, Silent Pool created a nine litre bottle with an original artwork by artist Laura Barrett, that went on sale for £5,000. 42) Although gin, as mentioned earlier, must be flavoured with juniper, there are no restrictions or rules when it comes to Gin must legally have a “predominant juniper flavour,” but there are no specifications or limits to how many other botanicals may be used. 43) The smoothness of Fifty Pounds can be attributed to our distillation process but also to one of botanical in particular: Liquorice powder. 44) One of the most popular gin variations is Sloe Gin, which is infused with slow berries, the fruit of the blackthorn tree. 45) One thing that Sloe Gin has going for it that regular gin doesn’t – Sloe Gin tastes wonderful with blue cheese. 47) While not the inventor, many cite Harry Craddock as a big part of the Martini’s popularity. 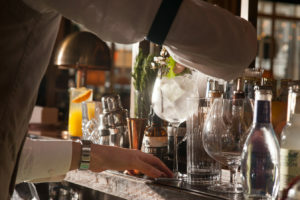 He wrote the Savoy Cocktail Book, often regarded as the most important cocktail book of the last century. 48) As far as London is now concerned, Duke’s Bar at the hotel of the same name is credited as the source of the best Martini in the capital, if not the world. They have a Martini trolley and, because of the strength, they make them, a very strict two drink limit. 49) Hogarth’s famous artwork, Gin Lane, was one of a pair – the sister piece is called Beer Street. 50) Like so many cocktails, the story behind the name of the Tom Collins is probably lost to history. The most likely explanation involves a 19th century London bartender named John Collins, who made a celebrated gin punch with Old Tom Gin and, probably saw the two names melded together over time.